Buzzards Bay Coalition is a non-profit organization dedicated to the restoration, protection, sustainable use and enjoyment of the waterways of Massachusetts’ Buzzards Bay, and its surrounding towns, parks and natural spaces. 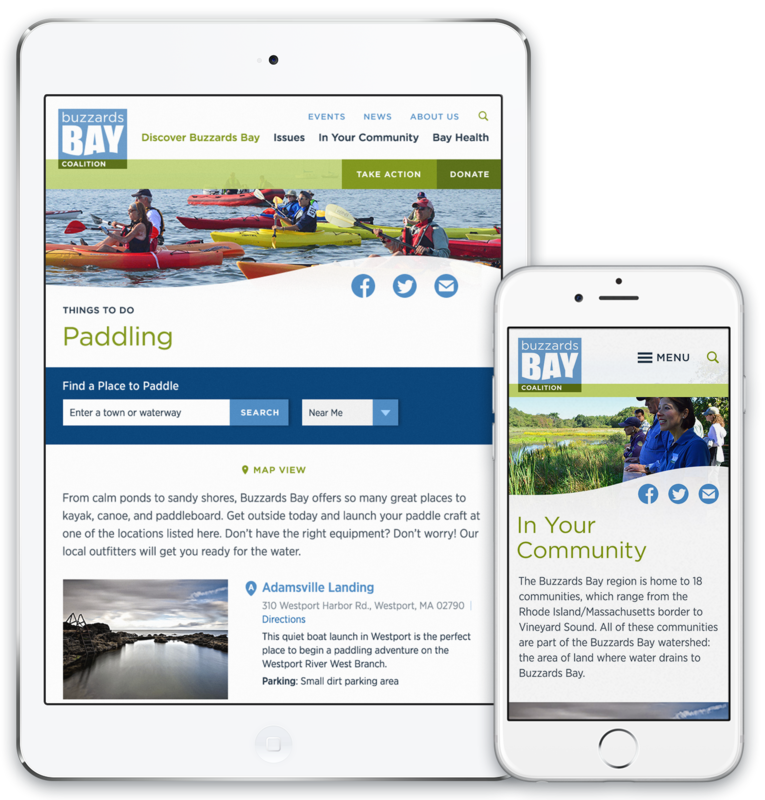 The Coalition works to improve the health of the Bay, while creating awareness and educating the community about the amazing natural resources they have at their fingertips. 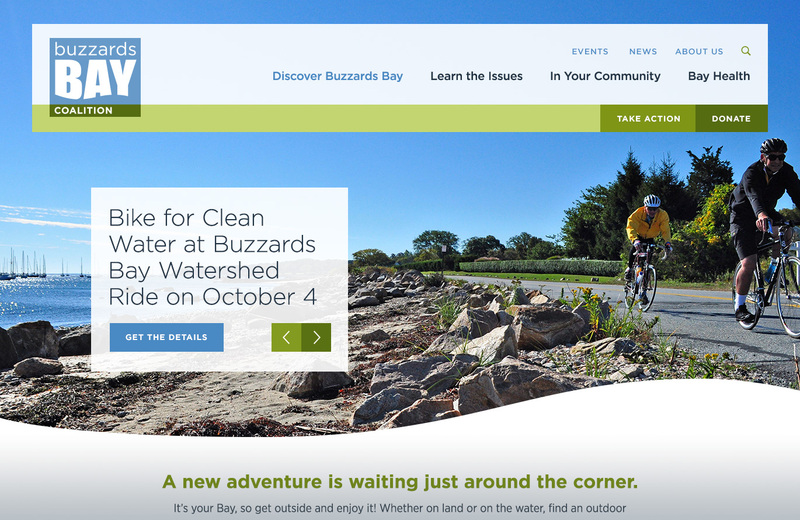 The team at Buzzards Bay came to us facing a number of challenges with their existing website. In addition to an out-of-date, unresponsive design, they had an unnecessarily complex and repetitive site structure, and an inflexibly-built content management system (CMS) which limited their ability to add and update content as their organization evolved. To simplify the navigation and make for a better user experience, we looked into the content different types of visitors were coming to the site to find, and the actions they were looking to take. We then matched the visitor goals with the organization’s business and development goals to ensure the site's new structure and flow addressed the needs of all stakeholders, and got everyone to where they needed to go. Working with the Coalition’s existing brand, their awesome photographic assets, and the newly-developed structure and flow, I created a fresh take on the website design. From that, my development partner Joe Dolan of Nalod Associates built a beautifully responsive experience, with a brand new Wordpress environment that offered maximum flexibility for their ever-changing content. A robust filtering system makes it quick and easy for visitors to find places to bike, hike, paddle, fish, you name it. Events are fully filterable, and articles are categorized for endless exploration. As a nature-lover myself, I was proud to work with the Coalition to make this site the best it could be. I can’t wait to visit!